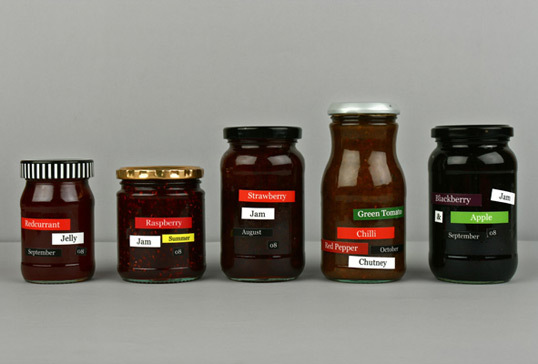 “A bespoke labeling system for a cottage industry that makes seasonal jams, marmalades and chutneys. I love the idea, but it looks unfinished. Maybe some other bottle element to tie it all together. It doesn’t look designed, it looks kind of trown together; with just a little more something it could look really stunning. yeah, they should at least have the same color lids. 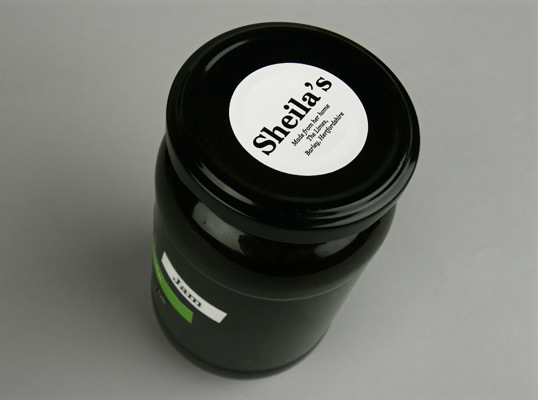 I think they’re all recycled jars, which would explain the differences.